They thought it might never happen again, but 10 days were all it took. When Marco Asensio scored three goals against Macedonia in Spain's first game at the European Under-21 Championship, it was pretty much the best international hat trick anyone had ever seen - and pretty much the best they were ever likely to see. Or so they thought. Just three games later, Saul Niguez scored a hat trick that might have been better. As his third curled inside the post, past keeper Gianluigi Donnarumma, Spain eased past Italy and into the final for the third time in the last four tournaments. Champions in 2011 and 2013, Spain face Germany on Friday night in Krakow, Poland. "The best is yet to come," Saul said. It should be good, that's for sure: There are plenty of reasons to tune in. Saul and Asensio, for a start. And Gerard Deulofeu, Sandro Ramirez, Hector Bellerin and Dani Ceballos. There's Inaki Williams speeding off the bench, and Denis Suarez is there too, waiting for his chance. And that's before you turn attention to their opponents, Germany. Spain are favourites. The only side with three wins from three, they've appeared to be on an entirely different level at times, although coach Albert Celades insisted they will have to be at their best Friday. Their best has been breathtaking. By the end, the semifinal was an exhibition. "We've been beaten by a great team," admitted Italy U21 manager Luigi Di Biagio. "If I think it's incredible out on the pitch, in the stands they must be going crazy," said centre-back Jorge Mere. Spain scored five against Macedonia, three against Portugal and three against Italy. Spain also scored one against Serbia (1-0) when they were already through, even though Celades had made 11 changes to the lineup. If Spain get one more goal in the final, they will have scored as many goals at a Euros as any other team ever. Rarely does a U-21 side have so much talent as this Spain side. Not since the last time Spain won it, anyway, when Thiago Alcantara, Isco, Álvaro Morata and David De Gea were among those who became European champions in 2013. Or two years before that, when De Gea and Thiago were joined by Ander Herrera, Juan Mata and Javi Martínez as Spain took the 2011 title. These players don't briefly shine and then get extinguished, suddenly appearing one summer only to disappear once more. This time, Asensio and Saul stand out. "Saul makes the difference," said Marcos Llorente. How could he not? Everyone knows Saul and Asensio, just how good they can be. They're not exactly revelations, unknown kids emerging this summer. But then, even if outside Spain there has been excitement and a sense of discovery about Dani Ceballos, who was bamboozling and brilliant at times against Italy, you could argue that none of them is really a revelation. And that is the point -- although the point may not be quite as simple as it first appears. It's deliberately flippant for effect, but there's something in this simple if somewhat dismissive question: Look at each of the teams at the tournament and read the squad lists. How many of them have you heard of? The likelihood is that you know more of the Spaniards than anyone else. Between them, the Spanish U21 players have 56 Champions League appearances. Germany have 31, England 17 and Italy just four. That figure is so high largely because of Saul, who has played in Europe 30 times for Atlético, while Asensio accounts for eight more, but it is not just about them and it is not just about Europe. Hector Bellerín has played 89 league games for Arsenal; Ceballos, the "revelation," is just two short of 100 for Betis; Jonny has played almost 150 senior games. The Spain XI that started the semifinal also have over 750 top-flight games to their names in Spain alone. Williams and Suárez, subs that night, add 170-plus games. England's starting XI just scrape over 400. (For reference, both Germany and Italy are over 700, but neither have as many as Spain.) This season, the players in Spain's U21 squad racked up almost 39,000 minutes; Italy were over 5,000 behind them. England didn't reach 18,000. This is a team of established professionals, but it is not simply that they have played lots of first-team games because they are very good players; it is also that they are very good players because they have played lots of first-team games. Success is not just about talent (and nor, in fact, is talent) -- it is about opportunity. It is not just that Spain's players are very good footballers, it is that they are allowed to be. They are given the chance to show it. And that contributes to their success being more than a passing moment, soon forgotten at senior level. Spain have won nine European titles at the U17 level, eight at U19, four at U21 and three at senior level. 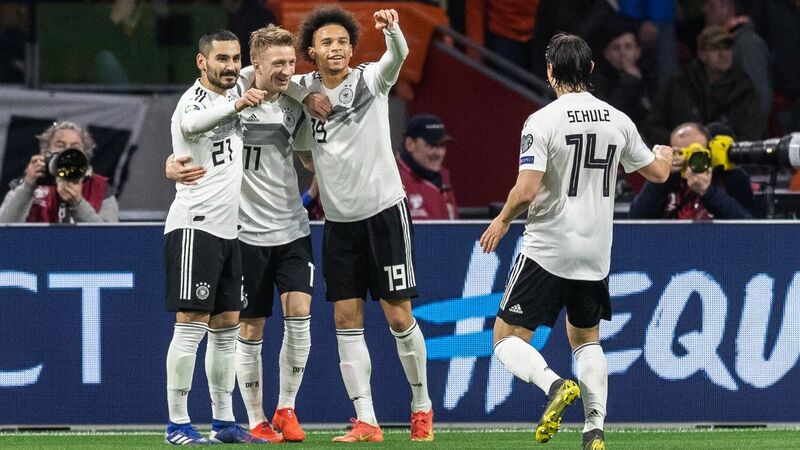 Their total of 24 titles is twice as many as anyone else, while only Germany have as many senior titles on the continent. There are many reasons for that, from a footballing culture that places emphasis on technique and talent, to expert coaching and a clear structure, to a model that brings players together from the age of 14 and clubs that defer to the federation. A continuity runs throughout the system, an ideology that is shared. It's not just about "tiki-taka" or natural ability. And it is not a fluke. This tournament puts forward something else that was also underlined in 2011 and 2013 when Spain had 944 and 745 first-team appearances, respectively. The Spain side that won Euro 2012 had racked up 332 youth games between them. When they won Euro 2008, the whole team had been in the youth system except Marcos Senna. You can have all the talent in the world, but if you never get the chance, it means nothing. "Talent and opportunity has to be united. A footballer that has great talent isn't anything without the opportunity," said Luis de la Fuente, the Spain U19 coach who also plays a background role across all the teams in Spain's youth system. "Those two concepts have to go hand in hand." "The idea that opportunity can be as important as talent is right," said Julen Lopetegui, the current Spain first-team manager who coached the U21 title winner in 2013. "The lads have a lot of games under their belts at the highest level, and that's important." "I totally agree," said Luis Milla, Spain's U21 coach in 2011. "Years ago [Spanish] teams did not put so much trust in their players as they do now, and that is, among other reasons, a vital part of the process in which players mature sooner." Spain's youth teams owe a lot of their success to the senior experience of stars like Asensio and Saul. There are reasons for that trust: the quality of the players, the work being done in youth systems, and a basic belief in young players coming through. De La Fuente insists that "clubs being brave enough to give opportunities to young players in such a tough and competitive league like La Liga speaks very highly of those in charge and the coaches. The clubs deserve credit for giving that opportunity to young, talented players." There is also an economic imperative, he said: "Spanish football now has significant financial power, but the important thing is that they are aware they have to invest in the youth academies." Being an export market also increases the opportunities for Spanish players rather than narrowing them. As former national team manager Vicente Del Bosque puts it: "It's been good for us that players went abroad to play, without doubt; that's one of the most important factors. It opened our minds, a major advance, I have no doubt about that. When you have Cesc [Fabregas] aged 19 and he's Arsenal captain, that's good for us." Mostly, though, that happens at a later age: Spain's Euro 2008 success owed much to Premier League players, but opportunities for young footballers on that side came more at home than abroad. Then there are structural elements to it. Lopetegui introduces another idea: the fact that in Spain, the B (youth) teams do not play in a reserve league but in Spain's national league, at the Third, Second Division B level or even Second Division level. Next season, for example, Sevilla and Barcelona's sides will be in Segunda. Put simply, in Lopetegui's words, they're playing "against men who are already professionals." 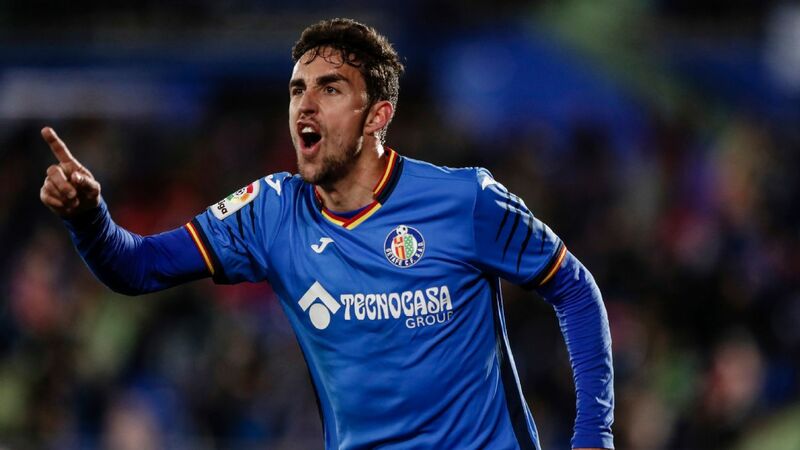 Ginés Meléndez agrees: "Having those teams in Segunda and Segunda B is significant too," referring to kicks and wallops and players getting pushed about. Hostias is the word. Meléndez runs Spain's youth setup and considers those demands vital. For all the talk about technique, talent and organisation -- which is all present -- there is also something more basic, more primeval and rarely recognised about Spain: competition. "Playing is not the same as competing," he insists. "One of the things we have worked on very consciously over the years is pushing players forward. If we can get a U15 player into a U17 team, we will. If they play easily in their own category, they don't develop. They don't make the same effort. They have to be forced. You have to be in a league where you need to compete." All of which develops players who are more mature, more complete and more competitive -- sooner. In short, more ready. In turn, their clubs are ready to offer them an opportunity sooner. It becomes a virtuous circle. They get the chance to demonstrate something and keep improving. They arrive at tournaments like this as better players, and they leave better still. After Tuesday night's game, U21 manager Celades said of Saul: "We're not uncovering anything." How could they be after Saul's 100-plus first-team games at Atlético? "He has been playing well for his club and for his country for a long time," Celades said. Not that it is a guarantee. "The difference isn't really having consolidated players; you can have them and still get it wrong," Celades said. With Spain, once players prove themselves, they're not packed off to the seniors, never to return. Nor do the players or clubs seek to escape. When Saul scored his hat trick against Italy, the inevitable comments and headlines followed: "Better call Saul." When Spain did, he came. Saul, Asensio and Deulofeu are three of six players at the U21s to have full caps. They would expect more, but Celades said, "They treat this tournament as one of the most important moments in their careers, and that's the real difference. "If that didn't have that desire to in this competition, that first-team experience could be a double-edged sword, because they could end up feeling more important than the rest of the players here. But they don't; this is about the team."